He also went ahead and invited the public to take part in the "Swabhimaan" rally in Panchkula on December 9 to protest against the movie. BHIWANI: The Rajput Karni Sena general secretary Surajpal Ammu today called for a ban on the screening of Sanjay Leela Bhansali's 'Padmavati' in Haryana. Addressing mediapersons at a rally in the Shakuntala Garden area here, Ammu said six states have already banned the screening of 'Padmavati' but Haryana is yet to follow suit. He invited the public to take part in the "Swabhimaan" rally in Panchkula on December 9 to protest against the movie. Ammu welcomed activists of the Akhil Bhartiya Kshatriya Mahila Mahasabha present at the gathering. Saying that even after several MLAs and ministers demanding ban on the movie by Bhansali, Ammu asked why the state government is yet to take any action. He urged the people to participate in the Panchkula rally in large numbers as an expression of solidarity against the movie. 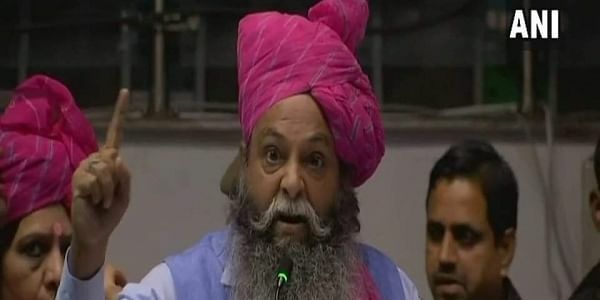 Addressing the public, Akhil Bhartiya Kshatriya Mahila Mahasabha president Aman Tanwar Raghav said the movie hurt the sentiments of the Rajput and several other communities by toying with historical facts. Raghav demanded that Chief Minister Manohar Lal Khattar take immediate steps to ban the film in the state. "Padmavati", featuring Deepika Padukone, Shahid Kapoor and Ranveer Singh, has been facing the wrath of various Rajput groups and political leaders, who have accused filmmaker Bhansali of distorting history. PTI CORR IJT .